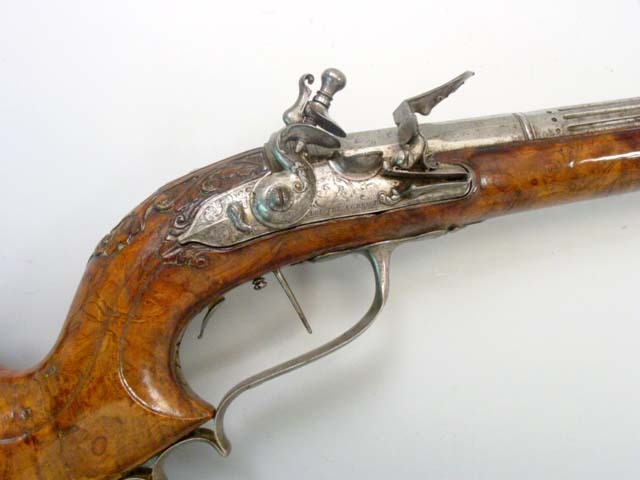 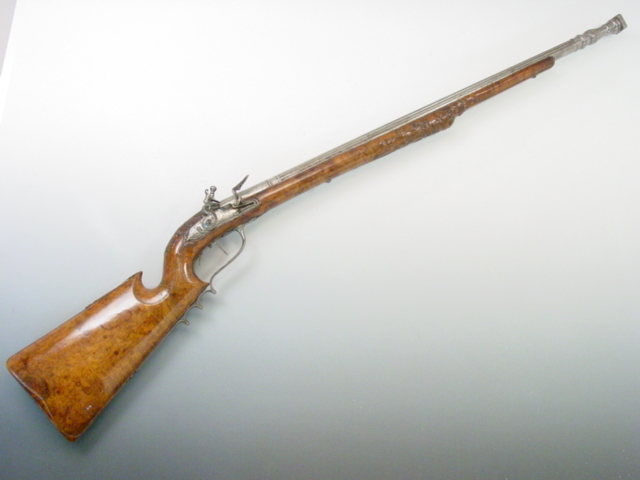 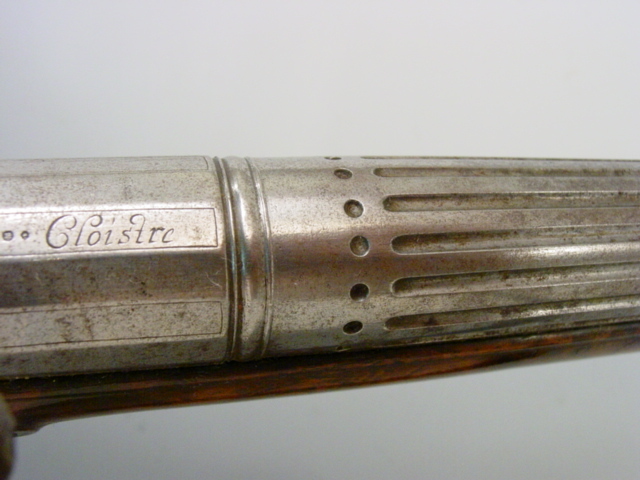 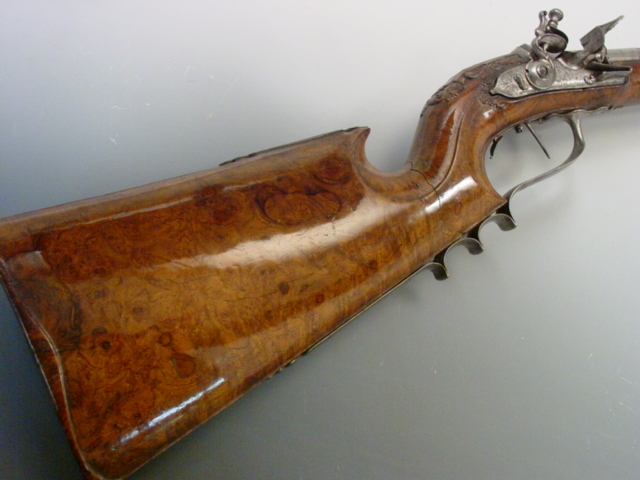 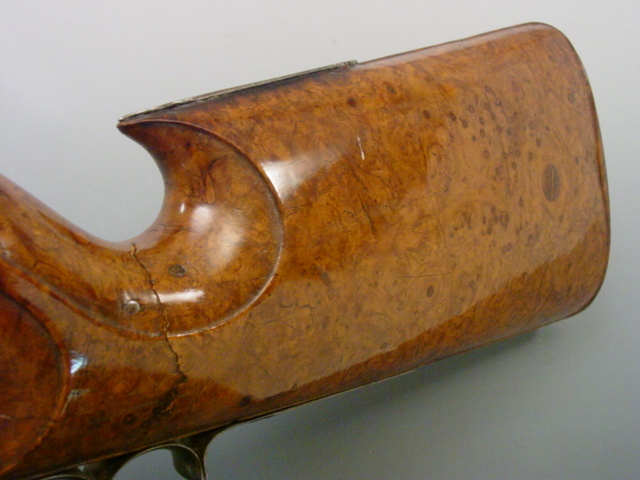 Exquisite Target or Small Game Sporting Rifle by Cloistre of Grenoble, France, with barrel .45 caliber with polygrooved 27 1/2-in. 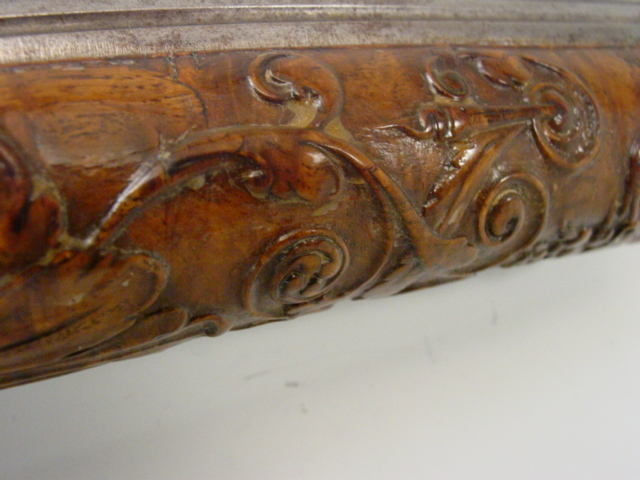 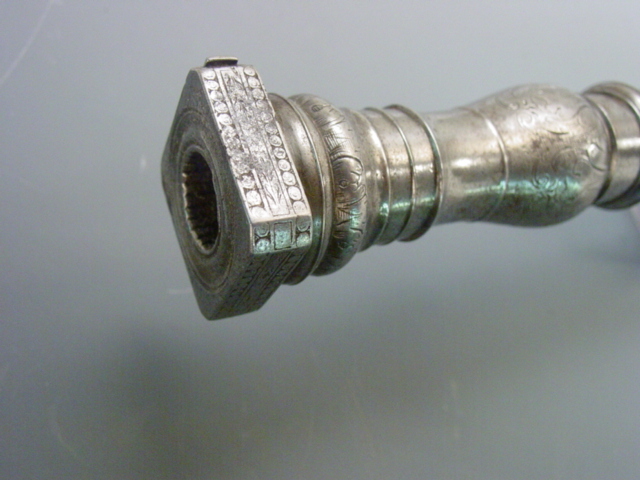 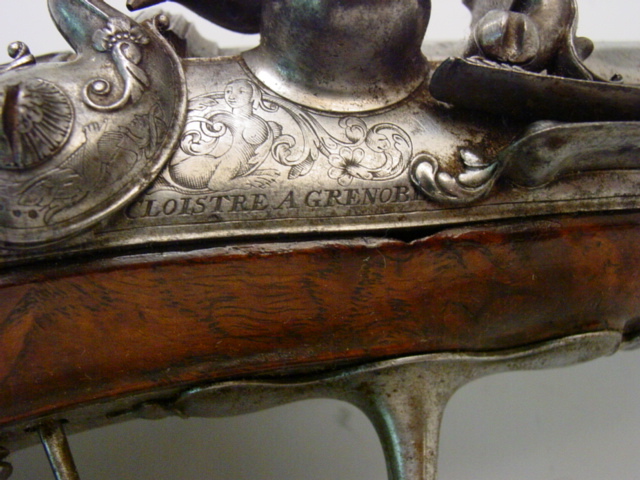 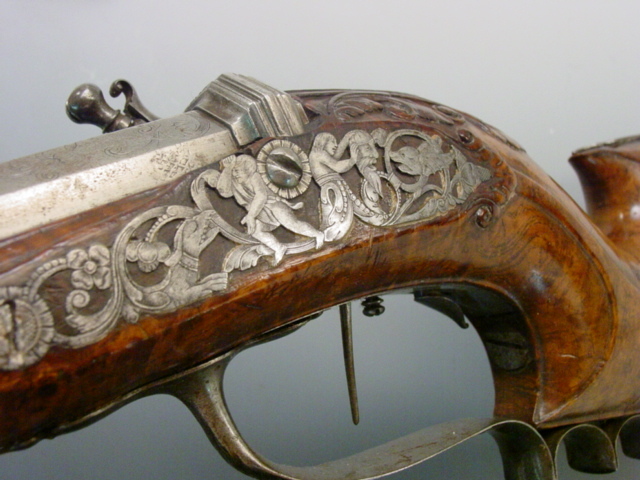 elaborate multi-stage barrel; balustrade form muzzle section lightly engraved with floral motifs, fluted central barrel section, simulating an architectural column; stepped down at breech, birds and grotesque mask motifs, front half beveled, and with maker's signature "Cloistre" in script. 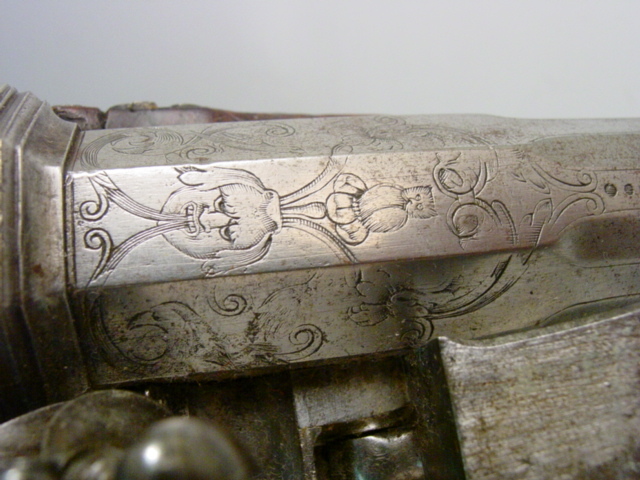 Barrel tang delicately engraved with floral scroll motif, blossom of plant with woman's face; double set triggers; delicate, rounded lockplate, with scrollwork and voluptuous sphinx motif.